When picking sports gears, you might be wondering: what’s the difference between compression tights and leggings? Both being tight and compressed for stabilizing muscles and decrease the consumption in energy, they increase the efficiency during exercise especially in long run. The difference in tights is its “strategic compression,” Partial Compression. Compression tights apply especially powerful fabric in specific parts in order to enhance the compression in muscles on the bottom parts. 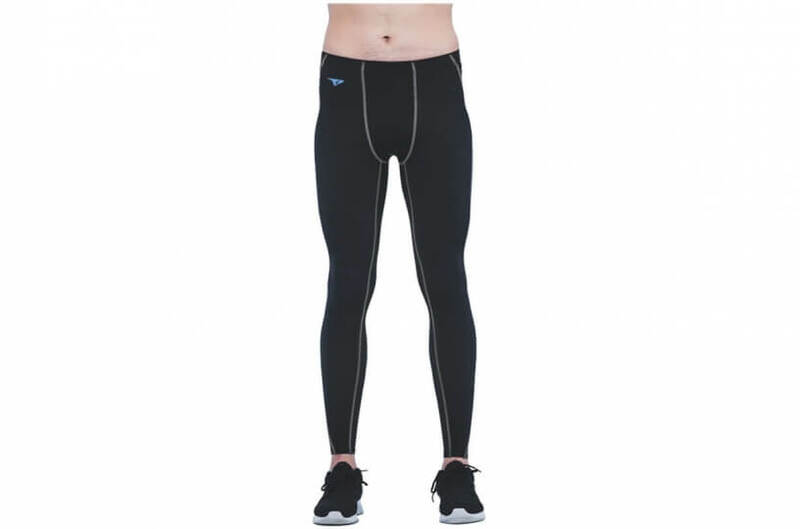 Partial compression, the compression decreases from down to the top, improve circulation and recovery post-exercise. When picking compression tights, you should consider criteria not only related to its performance, but also the comfort, which is especially critical in long-period, long-distance exercises. 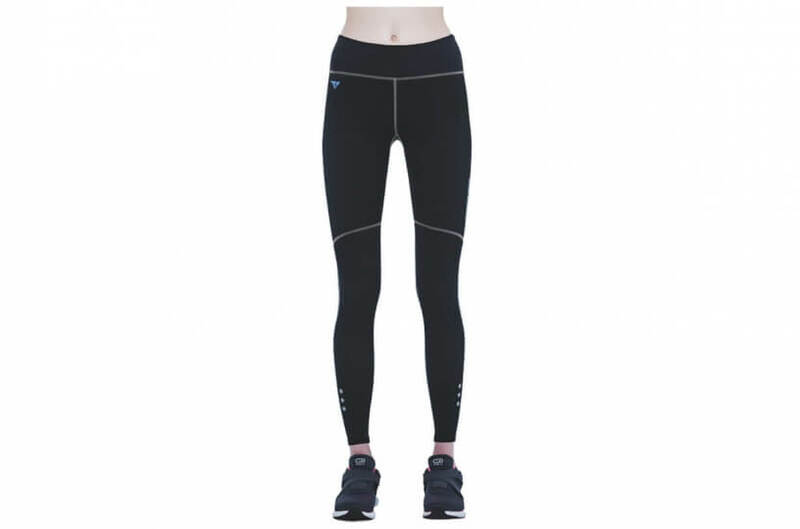 Compression tights are completely fitted clothing. Unlike typical wearing, fabric of tights has to 100% stretch out along with you muscle whatever motions you do. In order to be perfectly agile during exercise, and unsure the same extend of tightness after times of wear, you need to find the ones with perfect elasticity. Having the best compression performance by using the least stitches for less chafing challenges the designer’s knowledge of muscle usage in exercise and his/her technique and creativity in design. When taking long run and sweating a lot, the breathability of the fiber strongly related to comfort. Sweat-wicked, breathable materials help take your sweat away soon after and keep your body dry. It keeps you away from getting itchy or even allergy caused by mounted sweat and growing germs on the body surface. Delicate-knitted fiber is important for increasing comfort; about sewing, find the one applying Four Needles Six Threads technique that is helpful in reducing chafing in actions. Important remind for boys here: the crotch! Never forget to concern about avoiding crotch chafe! Some tights apply U-crotch design, letting the seam go across the groin; certain tights have double paddle design in the crotch part to enhance comfort, stability and the sense of security. ■ Pocket Design - convenient to carry essentials without affecting actions. ■ Night Safety Design - designs, such as reflective print, increase visibility and safety when exercise in the dark. Nylon fiber has better water resistance than polyester, give better smooth and comfort for skin touch. The high elasticity and high resilience textile, flexible & breathable, effectively covers and compresses the legs shape. Helps the legs to be more supported. Through graduated compression can protect muscles from damage and improve recovery. Ensures the stability of the muscles during exercise, and will not easily injured. The black LOGO's Tone on Tone reflective print enhances nighttime security by adding personality and style. Stretch pockets detail easy for storage and immediately fast supply. And a stable rear zippered pocket prevents important items from falling during your movement. Some might choose to wear calf sleeves instead for the same compression effect. Calf sleeves compress directly on the lower limbs. Criteria on picking compressions, flexible and durable, seam, breathability and comfort, also apply on selecting a pair of good calf sleeves. Some brands apply ergonomic 3D tailoring to further enhance the performance in compression. This can happen easily when wearing calf sleeves: they slip and roll up altogether after acting and sweating. So check also if there are skidproof design when choosing calf sleeves. Choosing calf sleeves of the right size by the circumference of your calf, which is also the widest part of your leg. 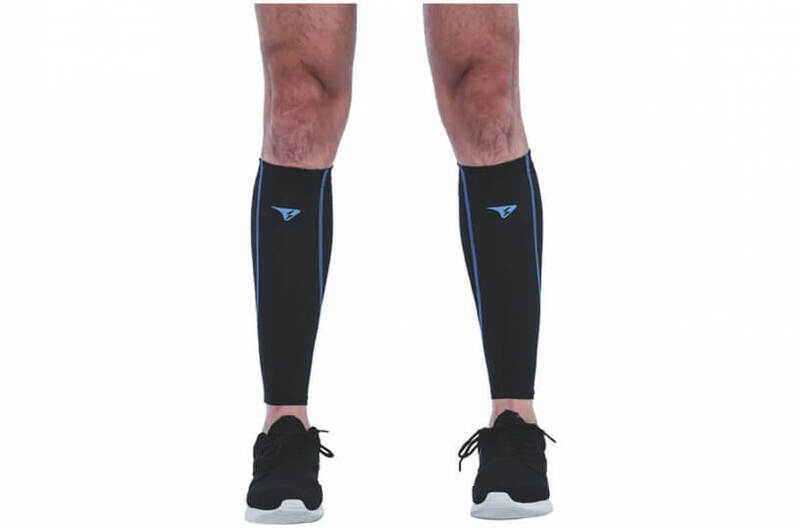 It’s not the tighter the calf sleeves are the better the compression performance. Wearing the ones that are too small and too tight can cause spasm due to poor blood circulation. Less lactic acid build-up, graduated compression to promote increased circulation for recovery. Highest power denier targeted support to calf + shins and greater power output. Reduced fatigue in lower legs through less muscle oscillation. Reduced calf muscle soreness and recover quicker.